I used to shoot. I’m not talking about an air rifle to deal with the rats that worried my chickens, nor even a shotgun to shoot clay pigeons. No. My deep, dark un-English secret was once not a secret and very English indeed. Back in the Boer War that my great-grandfather went to, the British Army got comprehensively shot-up (not something you’ll see in The Sun or pretty much anywhere else) in large part due to the fact they couldn’t shoot for toffee. A man called Lord Roberts decided that TrueBrits ought to be able to shoot, so in the early 1900s pretty much every town in the country suddenly found itself with a Rifle Hall and some with an outside rifle range as well. Just look at an old Ordnance Survey map. You will be surprised. A long time later, despite how old I am now, aged fourteen I went along every Thursday to Trowbridge Rifle Club. It was held in the local Territorial Army centre in a town where soldiers from Warminster School of Infantry were forbidden to wear uniform in the shops in case they were targetted by the IRA. There was a six-wheeler Saracen kept in a shed behind the TA centre and if you don’t know what that is then I am very pleased for you. Times change for the better. You could see it through the cracks in the doors. We had a pub called The Saracen, too. Thinking about it now, there was probably an armoury somewhere in the building, but we’d brought our own guns. I was about to say they were all .22 rifles, the best of them being the BSA Martini-action rifles directly descended from the ones that didn’t do much good at Rorkes Drift, but some people brought along much more exotic fayre, .22 target pistols and the odd chrome-plated .38. Neither of which they were allowed to shoot in the basement range, but that wasn’t the point. It was the lure of the things. What wasn’t totemic was the discipline around guns, which wasn’t optional or in any way advisory. As a kid you always knew someone close would have been very prepared to knock you to the floor if you’d started arsing around with a gun, loaded or not. I’m not justifying any of this. It was a long time ago. It was the way things were there and then. I went to Israel after I left school and some things happened where a gun would have been a useful social tool. Pretty much everyone else was carrying one, from the IDF guys with 9mm Lugers stuffed in their waistband to the little family I recall at a beach, where the child was just about able to walk, Mummy looked dark and slinky and utterly stunning and Daddy had a big pistol kept in a replica US Cavalry holster hanging from a belt thrown over his shoulder as they strolled with an ice-cream, the way Daddies there do. Or did then, anyway. I haven’t been back. My first job out of university was teaching kids to shoot on a camp by a lake in Wisconsin, in a summer of guns, Chevrolets, pine trees and an Indiana cheerleader called Nancy-Jean. I’m not even making this stuff up. 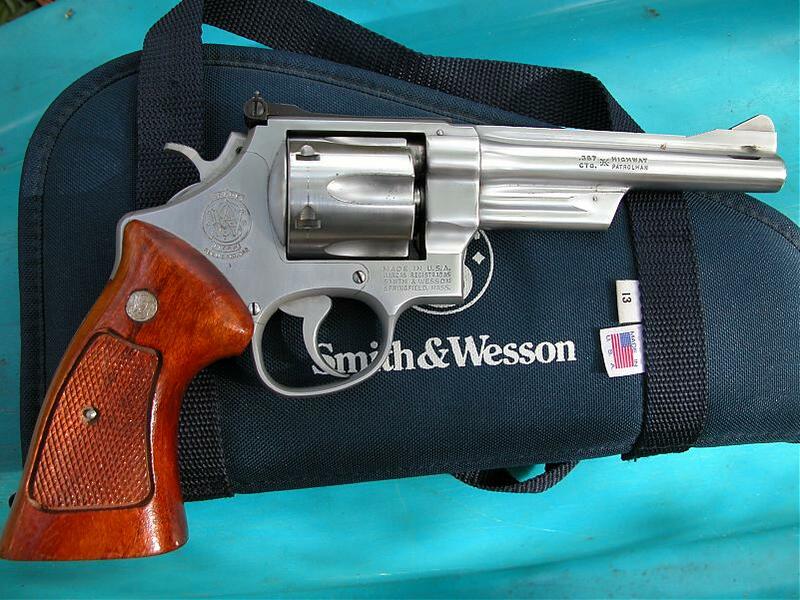 By that time I already had, quite legally, after a tussle with Wiltshire Constabulary, my own Model 28 Smith & Wesson. It was nominally a .357 Magnum, but the recoil was as hard on the hand as the cost was on my wallet, so I normally made my own .38 Special cartridges using a punch and a mould on the kitchen worktop in Bath. When I got my first job in London I spent my first pay cheque on a government surplus 1911A1, a .45ACP semi-automatic. According to the serial numbers it had been built in 1944, but at two different plants, the frame in one and the slide in another. Word on the street or at least in the gunshops you could then find in London (Trafalgar Square, Edgware Road, New Cross, Totteridge and I think another two if I can remember right) these had been languishing in an Israeli armoury since 1948 before being dumped on the market nearly 40 years later. Dumped was about the word. It took hundreds of pounds to turn my Colt into a decent competition pistol. The magazine well was bevelled out so the magazine would load more easily, the sights replaced, the hammer shaved down so it didn’t nip the web of your hand, the backstrap replaced so make the grip more gripable, the barrel replaced with a Barstow one worth the name, the slide stop and magazine button made bigger and easier to use, the recoil spring replaced and a special retainer installed for it to make it all work more smoothly, before the frame was matte chromed and the slide re-blued and rubber Pachmayer grips wrapped around it. On top of the £200 or so I paid for it as-was, I think it probably cost something like £600+ to customise it. It was only ever used where it was allowed to be used, on a licenced range, in competition and as I’d done before and would again, I won a few shooting competitions. Somewhere there’s still a little pewter cup I’ve never thrown away. And then one day Hungerford happened and I didn’t so much want to be around shooting and then Dunblane happened and the government took my guns away. The Smith & Wesson had been sold years before. So had the Mossberg pump-action shotgun that I can’t now fathom what ever possessed me to buy, but there were two injustices, at least, about taking my Colt. I have very little idea why I had this stuff. Nor so much of it. Firstly, the original compensation was an arbitrary £150. I appealed and finally got the money I’d spent on it. More galling was a letter I got from my MP when I wrote to him, which said the confiscation was essentially so that the government could be seen to be doing something. They didn’t see fit to do anything about some seriously dodgy policing that played a large part in both the Hungerford and Dunblane massacres, where in the latter the senior officer who over-ruled police who had met Hamilton recommended he should never get a Firearms Certificate and the fact he was in the same lodge as the senior officer who oddly retired on the grounds of ill-health shortly after the last cartridge case hit the floor was never mentioned much again. Nor were the allegations that Michael Ryan at Hungerford had a history of complaints about his behaviour that would usually disbar him from ever getting a Firearms Certificate, which he also got practically by return of post rather than the months the police usually dragged it out for. Nor was the serious allegation that while he ended-up shot, Michael Ryan didn’t shoot himself at all, not least by an obliging press that didn’t seem to think the coroner’s photos of his body needed seeing any more than the judge thought they did. I was annoyed. I thought it would make no difference to armed crime at all. I went wholly along with the whole mantra, that bad people do bad things. A gun is only a tool. People kill people. The only gun control you need is a sharp eye and a steady hand. And then somehow, without even meaning to, I grew up. I was totally wrong. If you take guns away, sure, people can still get them. But somehow they can’t get enough of them easily enough to walk down the High Street shooting people, or they’d have to make more effort to do it, or they’d have to talk to people, or all kinds of real-life obstacles to killing kids in a classroom in a couple of minutes. Take the guns away. Nobody needs a 30 round magazine on a rifle however many deer they put on the table. Hardly anyone came back from WW11 and bought a Garand so their family could eat. They’d seen what modern military weapons could do. And so have we. And maybe that’s the issue. We’ve fetishised violence, from action movies to Presidents yelling about crusades to video and PC games where if we’re not peering up Lara Croft’s shorts we’re admiring the way she twirls her own brace of 45s. It’s dumb, it’s childish and it needs to stop. When I became a man I put away childish things. That included my guns. Great post Carl. If only America had the same view. I’ve been in two situations where a “TV reaction” would have been to pull out a gun and start blasting. 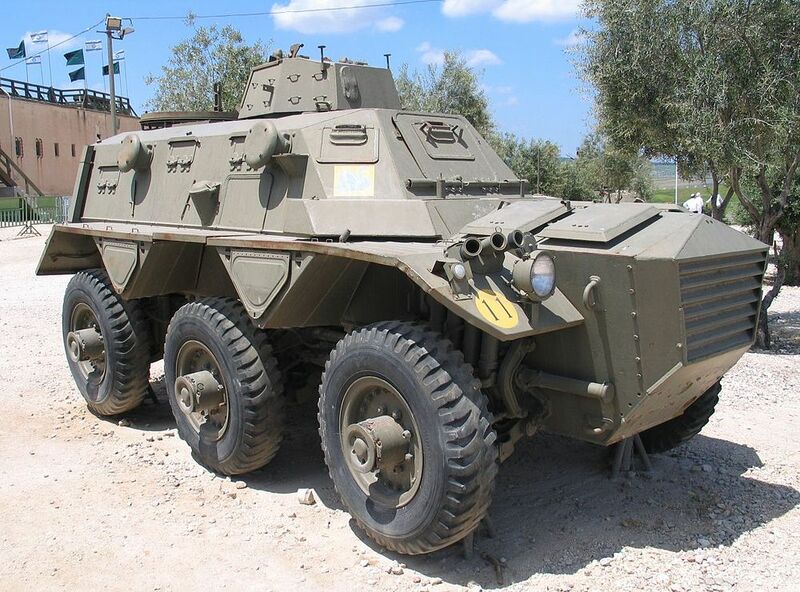 The first time, I’d walked into an IDF ambush. If I’d had a gun visible I would have been killed. The second time, someone shot at me repeatedly at an isolated castle in France. I couldn’t see who was doing it and all I could do was get behind cover. If I’d started shooting back I would have had no idea if I was aiming at the person doing the shooting or just some random stranger. It’s an empowerment fantasy. And you don’t get empowered through the barrel of a gun, to paraphrse Chairman Mao.